The Parkland shooting survivor saw his tweet and issued a brilliant comeback. The stunning move took Washington, D.C. by surprise. The White House Correspondents’ Dinner comedian saw their unfair attacks and immediately set them straight. The mystery of the fate of the sapling just emerged. His obsession with his predecessor hit a shameful new low today. The students saw their glaring hypocrisy and brilliantly spoke out. 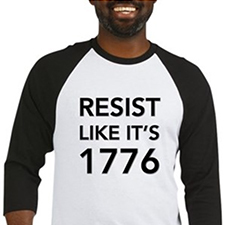 OD Action Partner: Resistance Merch refuses to back down, instead doubles down with special limited time offer. Enter code FREESHIP418d06689 for free shipping all this week. Over 170 lawmakers have now called for the resignation of Environmental Protection Agency (EPA) Administrator Scott Pruitt, who is now under at least 10 federal investigations for flagrant misuse of public funds and questionable relationships with anti-environment industries. Frankly, Pruitt already shouldn’t be EPA Director after pulling the United States out of the Paris climate agreement (even though his job is, you know, to protect the environment). But now, his exorbitant expenses paid by taxpayers have become public: $3 million spent on personal security, expensive hotels and first-class flights, scheduling meetings in vacation spots, irregular pay-raises to political appointees…and installing a $43,000 sound-proof booth in his office. Call or email the EPA and demand Scott Pruitt’s resignation. Or, say it to the EPA on social media. And it’s not just his spending. Pruitt has spent more time cozying up to anti-environment donors than he has doing his job: favoring corporate lobbyists over environmental regulations, renting a condo for just $50/night from the wife of an oil and gas lobbyist, and a shady relationship with the National Mining Association. All of which are now under investigation. Democrats, Republicans, and even a Fox News host have now called for Pruitt to step down — and when your rabid guard dog turns on you, you know it’s bad. Call (202.564.4700) or email the EPA to demand that Scott Pruitt resign immediately as EPA Administrator. Or, tweet it to the EPA. And when Pruitt finally flies home, he needs to fly coach. PS — Please don’t forget to sign the petition stopping Trump from giving the NRA’s favorite lawyer a lifetime judicial seat, and join the Americans demanding Congress protect Dreamers NOW!